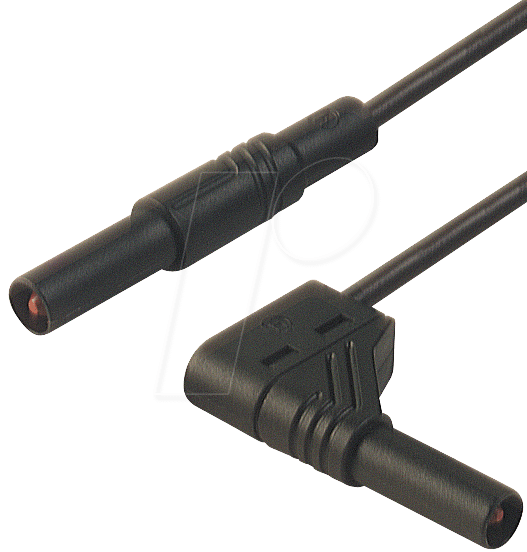 Insulated measuring lead according to IEC 61010, 4 mm diameter safety connector at either end, with straight/right-angled outlet. Contact spring made of copper beryllium, nickel-plated. Highly flexible, double insulated stranded cable, non-crush grip and cable. Embedded colour indicator to detect damage to the insulation.